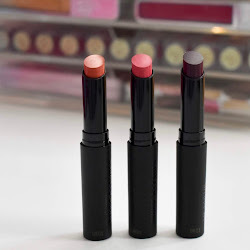 Today I have photos and a review of one of the newest Revlon lip products to hit the drugstores. I found the Revlon Colorburst Matte Balms at a local Rite-Aid and knew I had to try at least one. I don't usually love a matte lip product since my lips seem to not love the dryness that will come with a matte lip color. I figured I wanted to try this one out though and see if it would be any different. 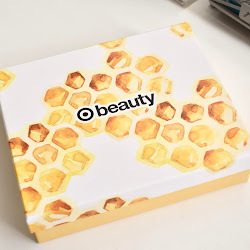 Find out how I liked the matte balm below! I was happy to find out that these Revlon Matte Balms are way more moisturizing than any other matte lip products I've tried. They glide on easy and have amazing pigmentation. This has a minty smell which was nice and pleasant. This one was a bit too bright on my lips, but I would definitely buy other shades to add in my collection. Even though this was matte shade, it wasn't at all too drying for my lips. As for how long it lasted on my lips, I would say I got about 3-4 hours of the color staying and then I noticed it stained my lips a bit. Not a bad thing, but I noticed the color coming off a bit in certain places so I reapplied and had no trouble with it coming off after that. If I had to pick between the two Revlon finishes, either the matte balms or the lacquer balms, I would pick the lacquer ones. My lips just prefer to have some shine than a completely matte finish. If you are the type to go for a matte lip, then you will love these! Recommend? 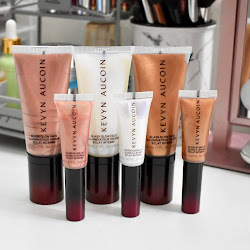 If you are a matte lip product lover, than you will love these and not be disappointed. Revlon Colorburst Matte Balms retail for $8.99 each and can be found at drugstores or where Revlon is sold.